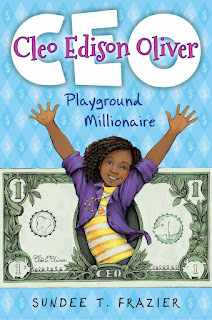 Cleopatra Edison Oliver has always been an entrepreneur, just like her inspiration, successful businesswoman Fortune A. Davies. So when Cleo's fifth-grade teacher assigns her class a "Passion Project," Cleo comes up with her best business idea yet: the finest "tooth-pulling" company in town. With the help of her best friend, Caylee, a Nerf gun, her dad's tablet, and her patented Persuasion Power, Cleo's Quick and Painless Tooth Removal Service starts to take off. But even the best-made plans, by the best CEOs, go awry sometimes. A minor barfing incident during a tooth-pulling operation causes Cleo to lose customers. Caylee, initially enthusiastic about the business, grows distant as Cleo neglects their friendship in lieu of getting more customers. And when a mean classmate makes fun of Cleo for being adopted, everything comes crashing down. Will she be able to rescue her business, salvage her friendship with Caylee, and discover that her true home has been here all along?